After unveiling the budget Moto E5 and mid-range G6 series, Moto is getting ready to show off the Z3 Play, with an event slotted in for next week. 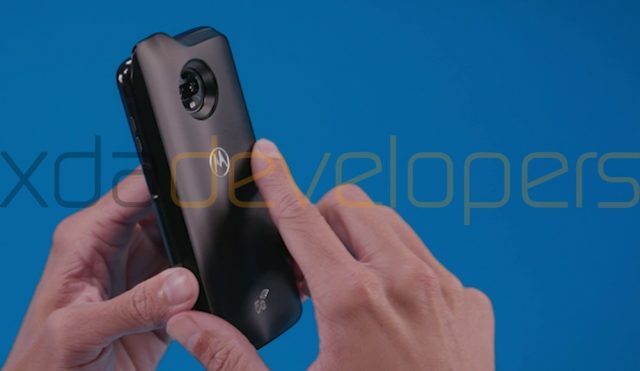 While there’s no confirmation from the company on what will be launched, fresh details about the Moto Z3 Play and a Moto Mod have emerged close to the event. First reported by XDA Developers, promotional material of the device is ready, and gives us a clear look at not only the taller display on the front but also a new Moto Mod. The Z3 Play looks quite similar to the Moto G6 on the front, with an 18:9 screen and narrower bezels than last year’s model. The promo material also shows Motorola’s own take on a gesture navigation bar, with a wider pill that looks more like the one on the iPhone X than Android P beta. 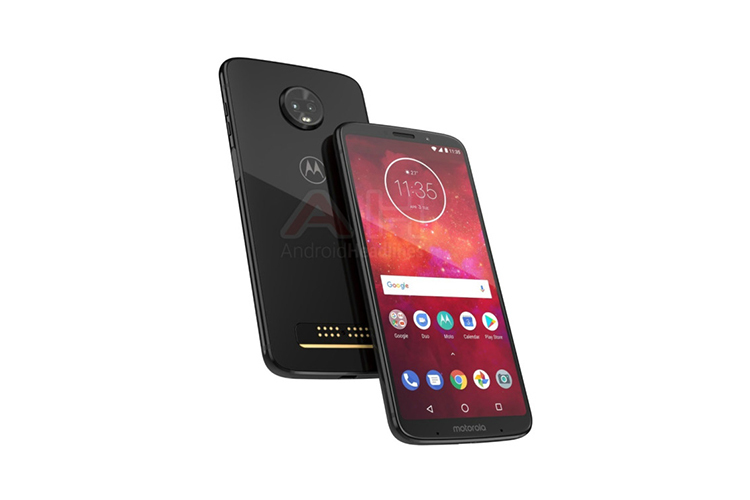 As for the specs sheet, the leaks have suggested that Moto Z3 Play will feature a 6-inch Full-HD+ AMOLED display that’s powered by the Snapdragon 636 processor. This is coupled with 4GB RAM, 32GB or 64GB of internal storage, and a small-sized 3,000mAh battery. On the optics front, we can also expect to see a dual-rear camera setup, with one of the lenses is a 12MP sensor and an 8MP selfie shooter. Add-on features like ‘Moto Voice’ will enable users to control their devices with simple voice commands. Along with the Z3 Play, Moto is expected to debut a 5G Moto Mod, which is more likely to bring 5G-like speeds if your carrier supports it. Not much is known about this add-on right now, and all we can see is an extended antenna in the leaked images. We’ll find out more next week as Moto hosts an event in Brazil on June 6.